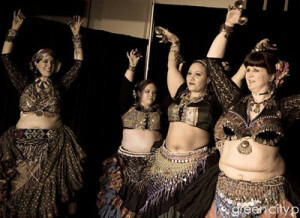 WHY WALK WHEN YOU CAN SHIMMY? 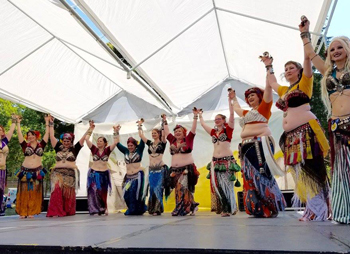 Deep Roots Dance is an ATS®-based tribal fusion bellydance company in Seattle, with a focus on joyful expression and strong technique. We offer classes and workshops for dancers of all levels, from bare beginners to ongoing students wishing to hone their technique. For over 17 years we have been known for our excellent instruction and welcoming and supportive environment, which nurtures the whole student as a valued member of our creative community. No DEEP ROOTS DANCE classes tonight at Studio Deep Roots due to illness. Thursday ATS classes, new series February 21st. Happy New Year! Only $5 gets you your first Level 1 class with Deep Roots Dance. Just e-mail us to let us know you’re coming! 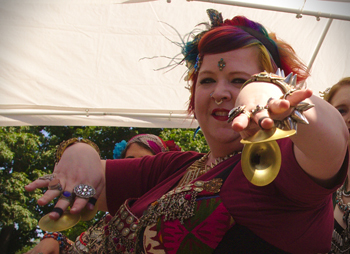 Deep Roots Dance to open for Beats Antique, February 15th in Seattle. More details here. Don’t miss multiple chances to catch Deep Roots Dance in performance in 2019. See the Calendar for more info. Contribute to our Crowdfunding Campaign! Studio Deep Roots is an ambitious project to bring dance, music, and healing arts together in a single welcoming community space. We need your help to make this dream a reality! 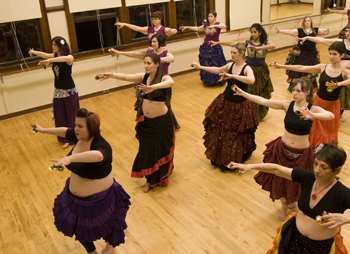 Ready to Start Your Bellydance Adventure Right Now? Register for an intro class today!